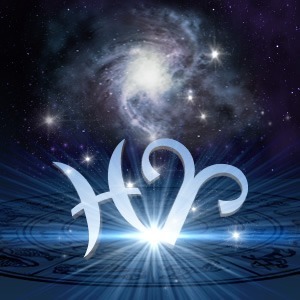 Just when we were all getting used to the heavy Pisces energy, now we find ourselves in Spring with the planets quickly leaving Pisces and taking up residence in fiery Aries. Many people should feel “more like themselves” and that’s not always the best thing. We may be feeling more like we’re back in our “comfort zone”, yes, but the Pisces blast didn’t occur just to send us a planetary curveball. Typically, a new chapter of Aries finds us very active and adventurous; this time it has a whole new flavor. In fact, when the 7 planets were in Pisces in early March, I felt the Collective change – I felt the teeter-totter tilt towards the East for the first time, as opposed to rational Western thinking. Don’t miss the fact that quantum thinking is taking over. This is a new age. It’s happening everywhere. Hopefully, as Uranus and Pluto stop squaring each other over the next two years, we’ll come up with a reasonable solution to protect our children with new gun laws. Thank Goddess, we are in a New Age. This is not generic hype-talk. This is true. People are changing as fast as possible. I’m seeing light-workers emerge as quickly as the cosmic conveyor-belt can handle it. Honor it, celebrate it; the Holy Spirit, or whatever name you want to use, is feverishly blooming in all of us. Talk love. Spread it because this occurs maybe once in a culture’s rein.